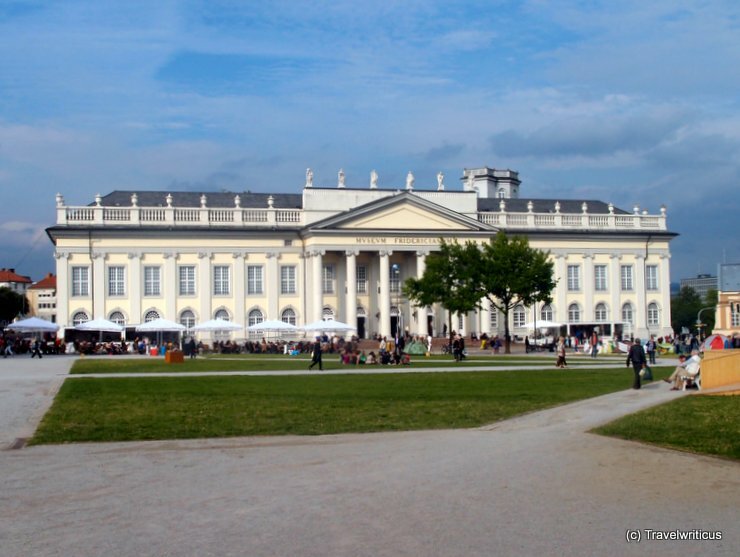 I started my walk along the venues of the dOCUMENTA (13) at the Fridericianum. 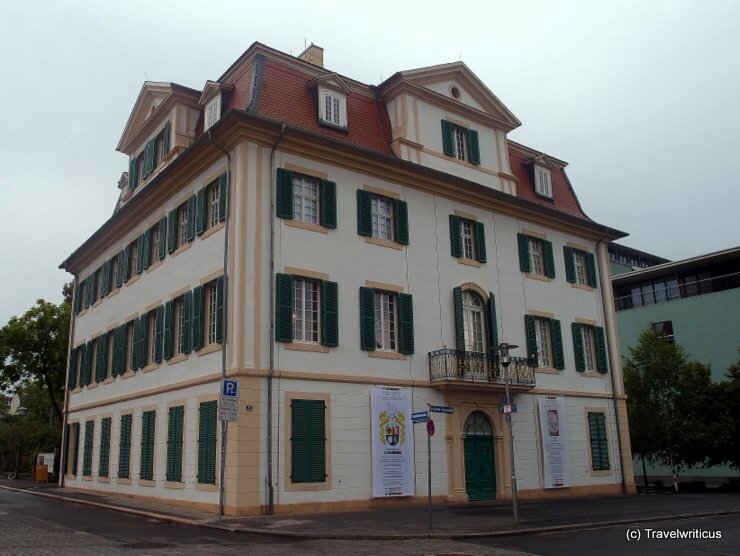 The building constructed in 1779 was one of the first houses built for the purpose of a public museum. 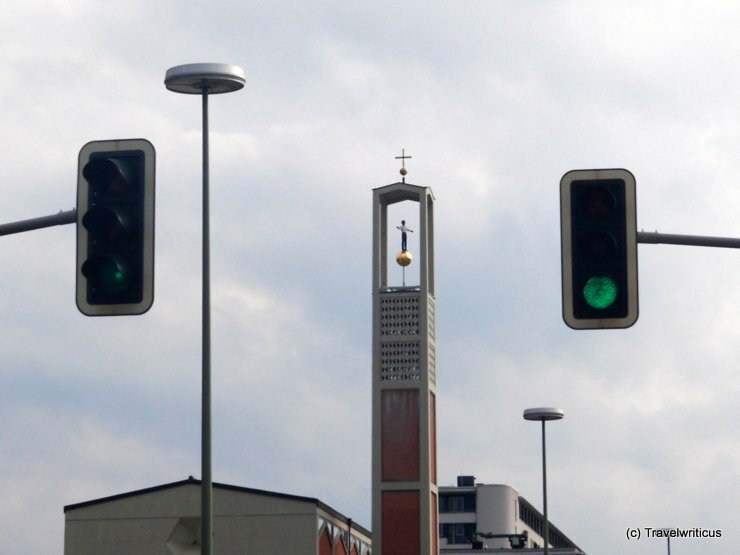 Fun detail seen in Kassel: A figure standing on top of a sphere inside a church tower. Its a sculpture created by the artist Stephan Balkenhol. The traffic lights are not art, I was just standing at a pedestrian crossing and there was no time for a better position. 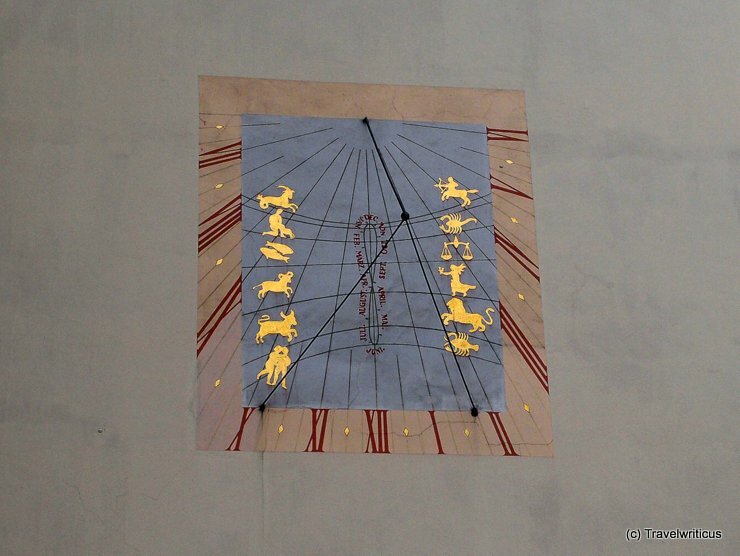 Photo of a sundial seen at the tower of the Fridericianum in Kassel. 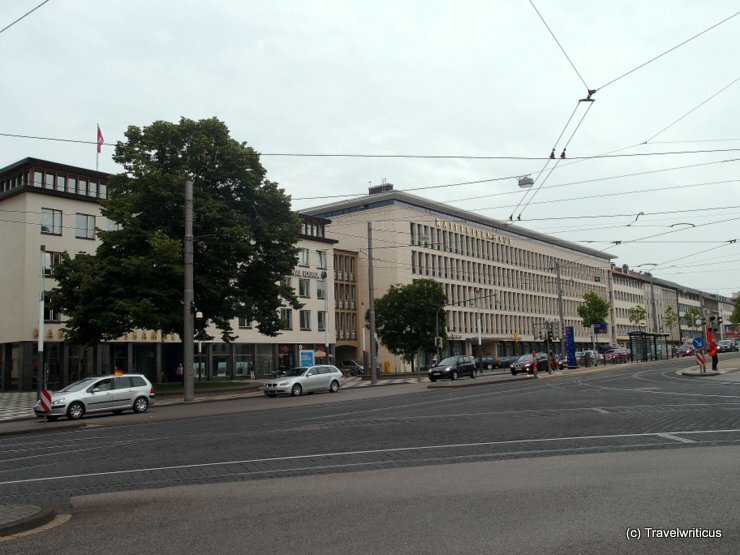 After World War II a large part of Kassel was rebuilt in the style of the 50ties. 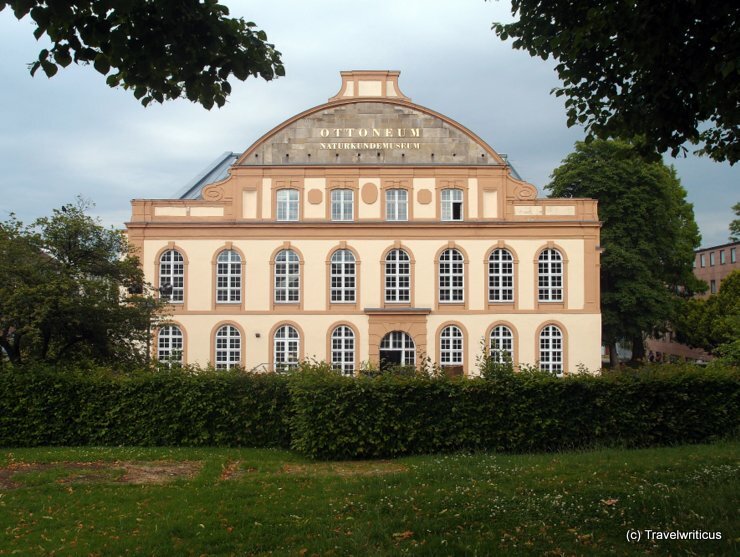 So if you are interested in the architecture of this period a walk through Kassel is a good way to learn more about it. 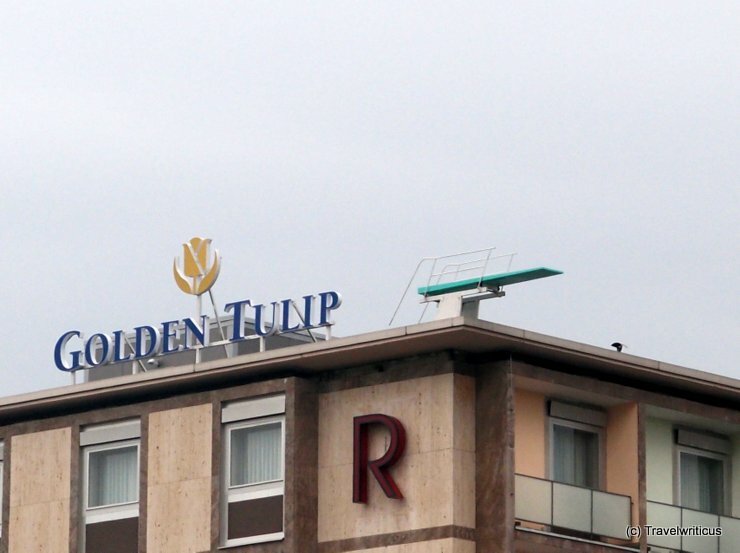 Odd detail seen on top of a hotel near Kassel Central Station: A diving platform! The explanation for this strange combination: It’s an artwork.